The original sword was dredged up from the river Witham. This sword can be seen in Ian Peirce’s “Swords of the Viking Age” page 77 and includes all the original stats and a picture of the original. You can see from the original stats in the book and the stats on our version on how close we came to the original. The blade of this sword is hand forged from 5160 carbon steel and hand tempered. The pommel and cross guard is also solid carbon steel with copper diamond inlays, then highly polished. The handle is wood wrapped in black suede leather. 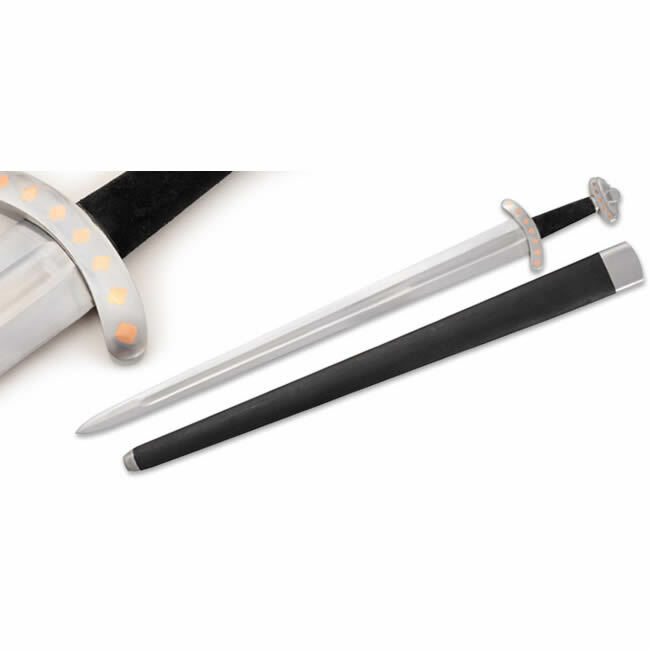 Sword also includes a wood scabbard wrapped in black leather with steel accents at throat and tip. 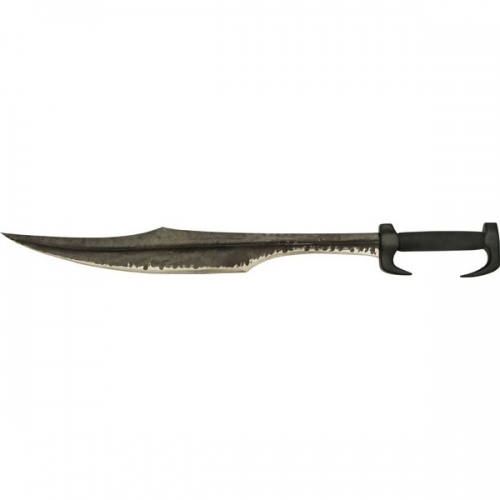 Key Features: solid steel pommel & crossguard hand forged carbon steel tempered blade leather wrapped wood scabbard w/steel accents Overall: 37 1/4″ Blade Length: 30 1/2″ Handle Length: 6 3/4″ Weight: 3.3 Point of Balance: 4 1/2″ Blade Steel: 5160 Specs will vary slightly from piece to piece.